Following the traumatic fire for everyone impacted Metro Hotel has sought to provide very significant supports, focussed in particular on former tenants of 21 apartments attached to the hotel. The hotel continues to support and assist former residents’ ongoing search for longer term accommodation, mindful that the tenants themselves are best placed to assess their individual requirements. 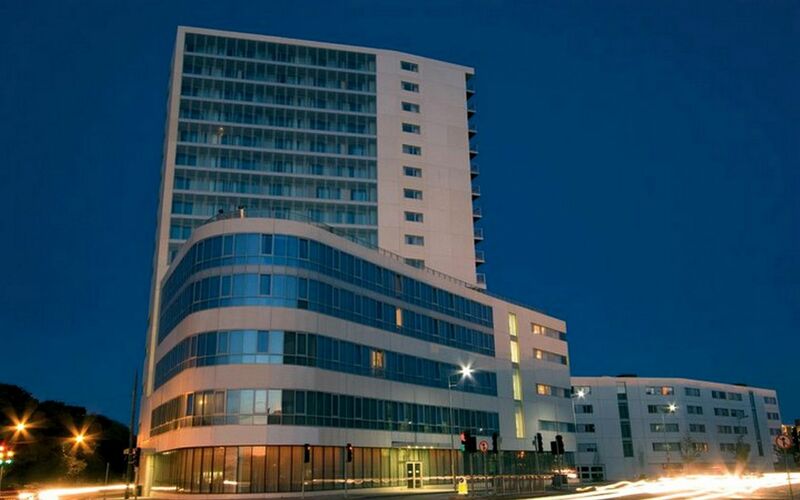 Where bank details have been provided the hotel has returned all deposits and all pre-paid rent to former tenants. No deductions have been or will be made in respect of tenant expenses and other supports provided by Metro Hotel post the fire. Recognising the very real practical difficulties you encounter finding alternative accommodation Metro Hotel has sourced short term hotel accommodation (where requested) to date and is agreeable to extending this support until Wednesday, 4th April, at the hotel’s expense. Since Tuesday, 27th March former tenants from all floors, with the exception of floors 10 & 13, have been given controlled access to collect their belongings. Personal belongings of tenants of four apartments (on floors 10 and 13) are likely to have been destroyed in the fire. As with any private residence, personal contents can only be insured by the tenants themselves and tenants should liaise with their insurers in this regard. The hotel remains committed to re-opening at some point. Unfortunately both the hotel and apartments will remain closed for some considerable time pending the ongoing investigation and safety assessment and the substantial repair and refurbishment works required. Hotel management has been working around the clock to assist former tenants to source longer term accommodation. Some potential interim accommodation solutions (of up to 6 weeks duration) have been identified by the hotel for consideration by tenants. The hotel appreciates the efforts of accommodation providers who have sought to facilitate tenants in providing potential solutions that may not be tailor-made to the individual long term requirements of tenants, but which may provide interim solutions. Finally, Metro Hotel confirms that it remains available for queries and to provide practical advice and guidance to all our former tenants in the months ahead. Unfortunately Metro Hotel Dublin Airport will remain closed for the foreseeable future and all reservations will therefore be cancelled. If your reservation is made with the hotel directly, on this website, over the phone or email, you will be contacted by someone in our team. If you have not yet received an email or a phone call from us, please email kgrunberg@metrohoteldublin.com and we will assist you in any way we can. If your reservation is made through Booking.com, Expedia, Hotelbeds, HRS or any other third party website, their customer service team will contact you directly to advise of the cancellation and assist you in finding an alternative hotel. If you have not received a phone call or an email regarding your reservation, please contact the customer service team of the respective website. If you have reserved a parking space only, unfortunately your reservation will also be cancelled. If the booking is made with the hotel directly, you will be contacted by someone in our team. If you have reserved the parking space through Looking4parking.com, Holiday Extras, ParkSmart or any other provider, please contact their customer service directly and they will assist you with the cancellation as well as with making alternative arrangements.